When I discovered my love for fashion a few years ago I was nervous to share it on this here blog. I wasn’t a “fashion blogger” and never could be. I don’t shop at super expensive stores, I’m not tall and skinny, I don’t live in a huge city, and that’s not all I blog about. But then I started finding other bloggers who blogged about fashion the way I did; they were relatable, affordable, and realistic. And that’s the type of posts and outfits I like to share here. So when Kiana emailed me and told me about their Mommy Style Monday posts, I was totally in! This week’s theme was a day at the park and this was the outfit I put together. Comfortable yet cute. I layered with my Evy’s Tree sweatshirt because it’s sometimes chilly in the morning and that’s when I like to go to the park. Before it gets super hot and before it gets super crowded. I’ve been loving classic, plain pieces like the ones I’m wearing here. They make it easy to dress up or down depending on the jewelry or shoes I pair them with. These shorts were a super great find at the Express Outlet last month and totally unlike any other pair I own. The key piece when planning your outing to the park? Shoes. Sometimes I’ll wear my chucks but when I think it’s going to be super hot, sandals are a must. Gladiator sandals are always my go-to because they’re sturdy, supportive, and duh cute. 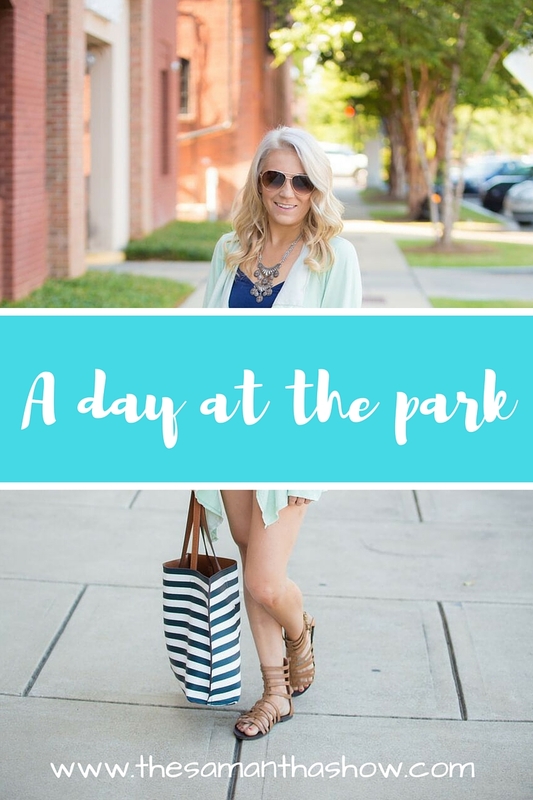 A day at the park usually consists of us leaving the house after breakfast (or grabbing it on the way and eating there). Always packing snacks, water, and sunscreen. The bag in these pictures is actually reversible so it can be worn with almost anything. And it’s got plenty of space for all the necessities. Me encouraging my kids to play by themselves or with each other. Of course I will help them if they need help but I want them to be able to entertain themselves and meet other kids. Paying attention. I’ll check my phone every once in awhile but I am extremely watchful when we’re out in public, let alone the playground. I always make sure I have a visual on both of them and usually follow my littlest one around like a hawk. Of course while keeping an eye on my son at the same time. I’m a little paranoid, yes, but I think it’s important to make sure they’re safe. And in today’s world you can never be too safe. So tell me about your park trips! When do you go? What do you wear? What do your kiddos wear? What do you bring? 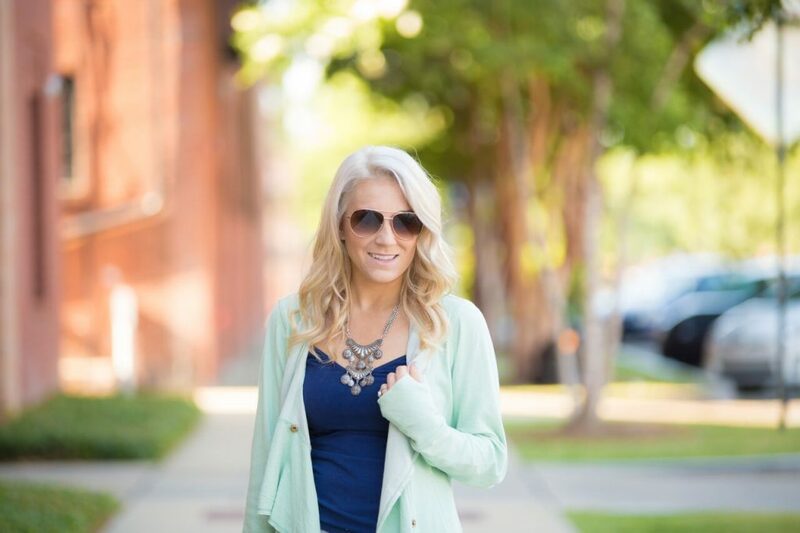 Be sure to check out the other mamas who are sharing their Mommy Style Monday posts today too! « Let your kids help you bake. They may learn more than you think.